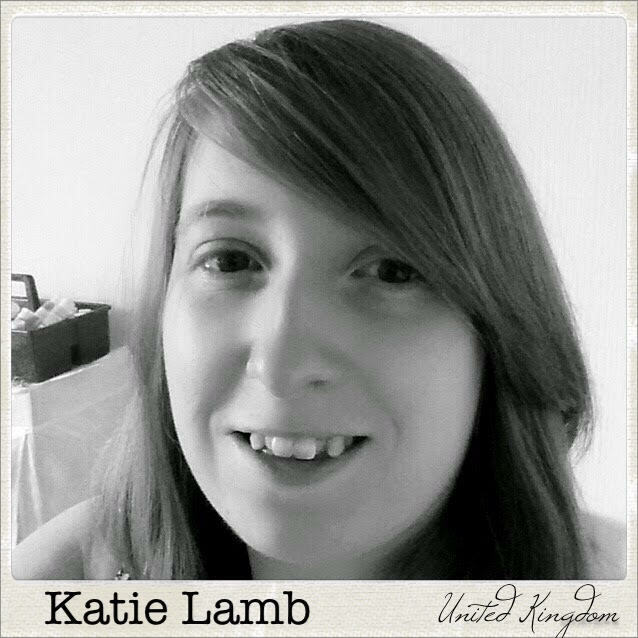 We are so proud to have Katie Lamb join in designing stamps for us! We love the inspirational projects she shares and the creative stamps she has designed, too! Welcome Katie! Hi my name is Katie and I live with my long term Partner Anthony and cats Timmy, Leo, Mugsie and Elfie. I think we have enough cats now lol. I have been scrapbooking since I was in college. I began this highly addictive hobby when I needed somewhere to keep my photos and odds and ends from my voluntary work. I have grown from just creating scrapbook pages and broadened off into mixed media. I now design my own stamps which are for mixed media too. I live in Birmingham UK which is a large industrial city and a bit of a mixture of very old and very modern architecture. we do have a beautiful canal system which branches out towards other parts of the city and the West Midlands area has a lot of history. I like to collect things which is a habit I have had since I was young so you can imagine what my craft room is like. I love playing with different ink mediums and textures and I continue to grow my mixed media style. I also collect interesting stationary and really cute stuff which is called Kawaii most of it comes from Japan and Korea. when I am not working, I like to craft in some form or another either cards or scrapbook pages, I am learning to sew so i can add that to my list along with up-cycling things. I hate to waste things if they can be used for something else. My other interests involve visiting the beach as much as possible and the Paranormal. Unfortunately I don't go around buildings in the dead of night with a camera but I do watch a few TV shows, some of which frighten the life out of me to the point where i have to turn all the lights back on. I love a good mystery though and prefer to look at things rationally. So now you know a bit about me.